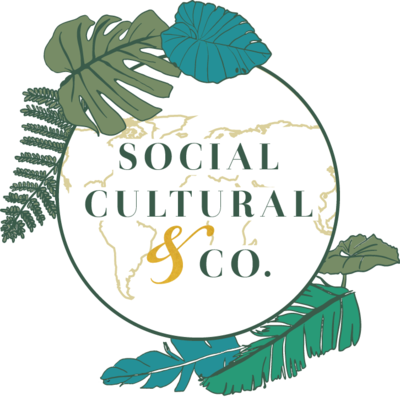 Retreat - Backpacking — Social Cultural & Co.
Are you an organization or business catering to the travel industry looking to gain a more socio-cultural understanding with their local community? Are you an executive looking to gain a deeper community culture in your organization/business? • Are you an executive that wants a more holistic marketing campaign for social media that incorporates the culture and concerns of your audience? • Are you an organization that wants to level up on their community outreach department by creating innovated ways that reaches your youth demographic and gives your company a softer approach to increase your bottom line? My purpose is to promote your business morals + values through cultural exchanges within your community + culture. I believe that the hospitality + tourism industry has a responsibility to share the local customs, traditions, and beauty through a captivating luxury experience. when you hire me- I am a part of your team and my goal is to increase your authority and notability within your industry through local community + Culture engagement. Your business will be different after working with me because you will have a luxury cross-cultural experience that is focused on promoting the local community + culture through a sustainable lens. You will also have an identified Social Media Strategy tailored + costumed to your business vision, purpose, and identity to properly promote the new cultural experience to your ideal audience and consumer. Our service will help you develop your mission statement into something more than words but an experience that will help you grow your email list. What issues are you currently having with your client experience?